The Ministry for Waterways and Environment is working closely with the Office of the Director of Public Prosecutions to see that Freesoul Real Estate Development (Fiji) Ltd, is prosecuted on the offences and environmental damage they have incurred on the island of Malolo. 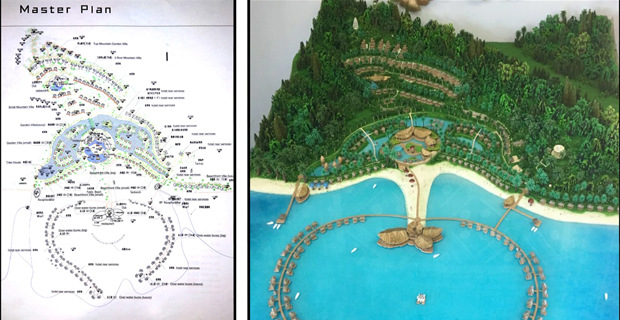 This comes after the Minister for Environment, Dr. Mahendra Reddy confirmed that the resort that is under construction on Malolo Island in the Mamanuca Group has violated the terms of its development. The case was filed for prosecution to the Office of DPP in September 2018. They say after the completed environmental impact assessment report was received from the company in July 2018, the Ministry began a thorough review process which included giving the general public an opportunity to state their views on the report. They took all feedback into consideration, and consequently, a scaled‑back version of the project was approved in December 2018. We have sent questions to the Office of the DPP to get an update on the file for prosecution that was given last year. We are also awaiting confirmation from the Ministry of Environment on whether work is still ongoing at Malolo Island.